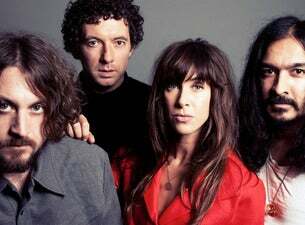 Formed in 2002 in Liverpool, the Zutons released their debut album, Who Killed The Zutons?, in April 2004. Back by singles such as You Will You Won't, Pressure Point and Don't Ever Think (Too Much) the album was a great success, nominated for the 2004 Mercury Music Prize. They have since released two more studio albums, 2006's Tired of Hanging Around and 2008's You Can Do Anything, but the band quietly disbanded a year later in 2009. Despite this, the band eventually reunited in 2016 for a one-off show in celebratrion of their friend, actor and former Tramp Attack frontman Kristian Early – the gig was billed as "probably the last ever" show for the Zutons. However, the band remained in contact and in November last year announced a string of Zutons 2019 UK tour dates to celebrate their first album, which wlll see the band playing the iconic Who Killed The Zutons? in full up and down the country.